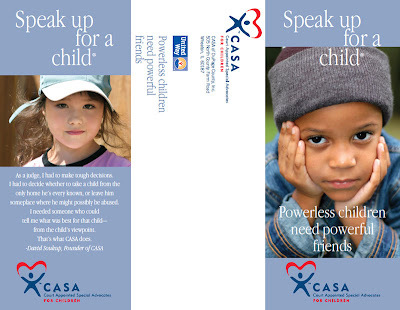 The right look and the right message are always key to successful communication and marketing materials. Fundraising for CASA of DuPage County is always a challenge in these times. 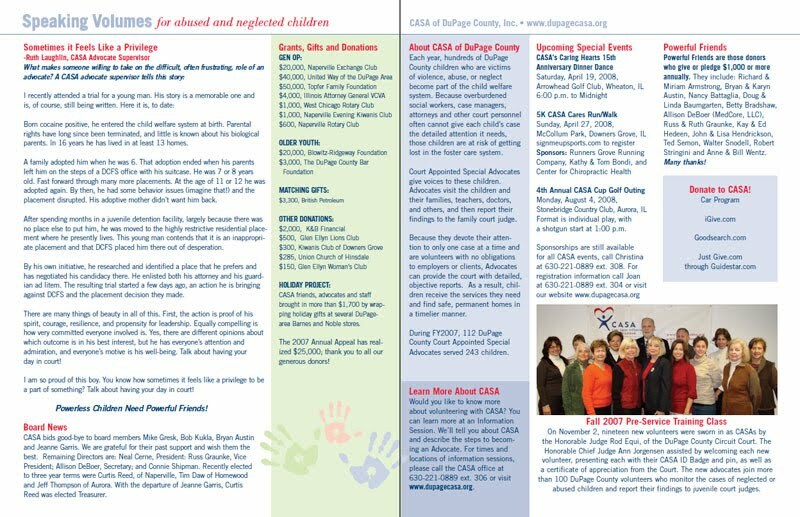 Telling their story and working very hard toward the benefit of children in need is an ongoing process for this hardworking and dedicated group of mostly volunteers. We developed info/marketing projects that helped with funding for this group, and for getting their great story out! 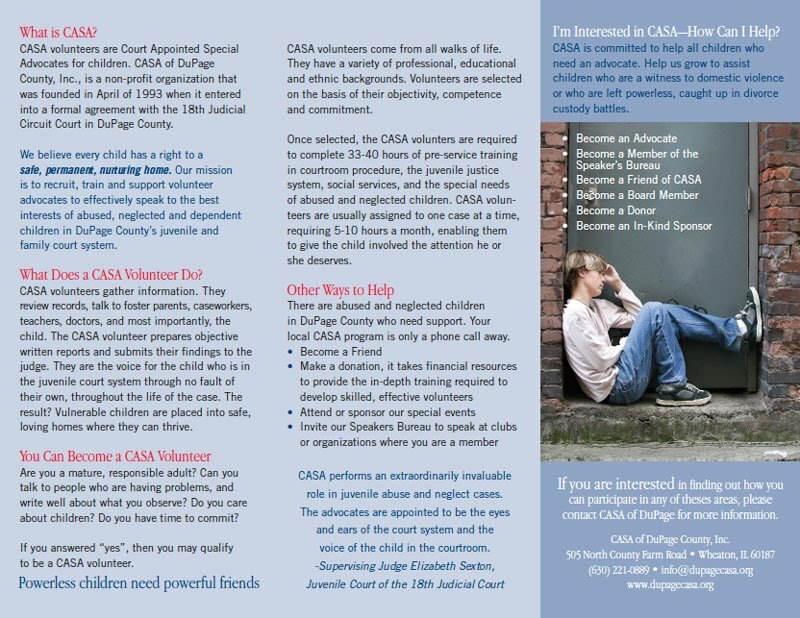 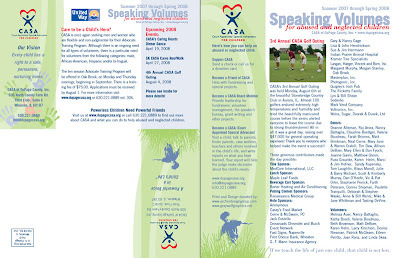 Design and print were donated to CASA by ADG.